One question that gets thrown around occasionally to me and by me is an impossible question. “What’s your favorite book?” Tough, right? Possibly impossible. I have to break it down into genres to have any chance of even approaching answering it. Age-specific genres. Micro-age-specific genres, if that’s a thing. Well, I’m not here to tell you that ‘The Book of Three’ is my favorite book. But, I am here to tell you that it is the first book in my favorite series of books. The Chronicles of Prydain by Lloyd Alexander is great. 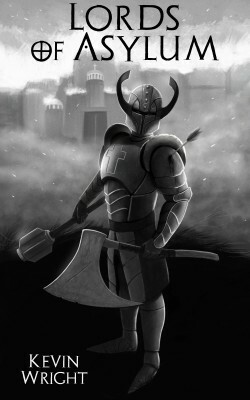 And while ‘The Book of Three’ is not the best book in the series, it sets the stage for the whole series (five books), is awesome in its own right, and I would argue, if someone really wanted to argue with me about this but it seems pointless and a waste of time, that it’s the only book in the series you could read as a standalone. ‘The Book of Three’ is a YA fantasy set in the mythical land of Prydain. 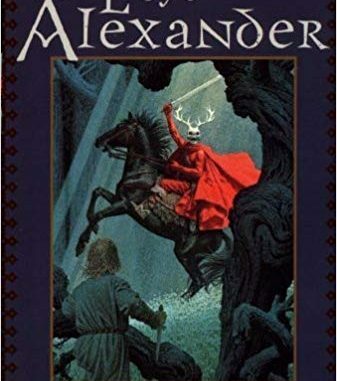 Alexander borrows and uses Welsh mythology as a springboard for Prydain and many of his characters. It’s told in the third person and jumps viewpoints to a limited degree. Mainly, it’s told from the POV of Taran of Caer Dallben, an orphan/assistant pig-keeper who yearns for adventure. I know, some tropes there. But I don’t have a problem with tropes if they’re done right. And these are. Not to mention that the book was written in 1964, so it probably wasn’t even a trope back then. So, Taran yearns for adventure and honor and fame in his land of Prydain, but he never finds it and remains an assistant pig-keeper until he’s old and finally dies. Obviously, I’m kidding. Stuff does happen. A lot of stuff I’m not going to go into. Suffice it to say, and like I said before, this book is awesome. I read it back to back to back with the other four books over and over all through middle school. Every week I went to the school library I’d take out the next one until I finished the ‘High King’ and then I’d start back over again with ‘The Book of Three’ (I’d occasionally shuffle in some ‘Chronicles of Narnia’ or ‘Hobbit’ for good measure). So, I hadn’t read this book in about thirty years when I decided to buy them for my son and daughter. And one night, they were just sitting on the shelf, (my son is currently reading ‘A Series of Unfortunate Events’ and my daughter is reading ‘Ellie’s Story’) so I figured I’d give it another go. I did so with trepidation. My main concern was ‘The Dukes of Hazzard’ effect. ‘The Dukes of Hazzard Effect’ is when something you loved and as a kid turns out to be terrible as an adult. I was concerned the ‘The Book of Three’ and thus the whole of the ‘Chronicles of Prydain’ wouldn’t hold up. Needless to say, it did hold up. Rereading ‘The Book of Three’ was like going to a favorite old haunt from my childhood and meeting with a bunch of friends I’d not seen in decades and then picking up without a hitch. That’s the best way I can describe it. And as I read along, things I had forgotten, characters, places, events, emerged from the past. Simply, it was awesome. So, read ‘The Book of Three’ and ‘The Chronicles of Prydain.’ Read them to your kids. Then make them read them on their own. They’ll thank you for it, and you’ll thank me. Or Lloyd Alexander, really, but I’ll take whatever I can get. Have a good one. Diversity in Speculative Fiction, or Where the Hell is my “Black Widow” Movie?